Beautiful bright summer blooms fill a clear glass pedestal vase. 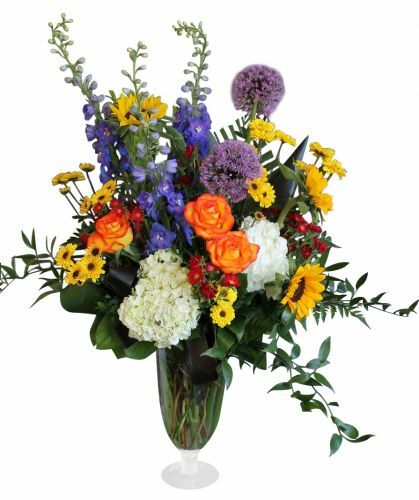 Flowers include delphinium, roses, sunflowers, hydrangea, chrysanthemums, allium and asters. Substitutions may be required, but the colours and size will remain the same.